This 2 Minute Clip from the film features Patty Greer's Contact Event. “Crop Circle Diaries” received 2 new EBE Awards at the 2017 International UFO Congress Convention Film Festival for: Best Feature Film 2017 & The People's Choice Award. The science in this film went further than any other Crop Circle film in history! Patty met Penny Kelly the real partner of the great scientist William Levengood and featured her in the film telling the real story of their amazing research over 16 years. Punchline: The spinning plasma technology producing Crop Circles has the ability to help bring our organic food supply back quickly once understood. The seeds that were hit by spinning plasma vortices consistently grew 30 - 400% more food and biofuel with up to 75% more nutrition per plant. The seeds inside Crop Circles became Super-Seeds that lived through laboratory tests when conditions too hot or too cold, too wet or too dry. By understanding Crop Circles and Plasma Technologies we have one more Advanced Technology to work with that will make a HUGE difference soon! Due to the importance of her films and the respect garnered for her awards around the world, she's unfortunately been one of the most hacked UFO filmmakers in history. 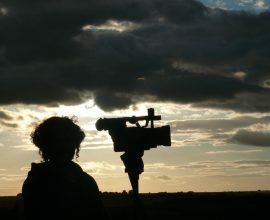 Journey to the UK epicenter of the Crop Circle phenomena with award-winning filmmaker Patty Greer. After visiting dozens of UK Crop Circles she had a “Contact” experience in a 2007 formation that altered the course of her life forever! Through telepathic communication 8 movies were co-produced in record time with no training or previous experience. “Crop Circle Diaries” offers an accumulation of Greer’s most astounding experiences in more than 100 UK Crop Circles. ning Biophysical Anomalies are what William Levengood and Penny Kelly brought to the film. William Levengood was the top scientist since the 1950's presenting valid research on the Crop Circle phenomenon. Penny Kelly was Levengood’s (unknown) lab partner for the last 15 years of his life. Together they discovered that seeds hit by Crop Circle frequencies produced 30-400% more food & biofuel per plant with up to 75% more nutritional value per plant! By (trolls and govt plants) spreading false rumors Levengood was black-listed in the scientific community & his work was suppressed for decades. We expose the real story of Levengood’s “PhD event.” It’s time for the world to know the TRUTH! William Levengood passed away in 2013 leaving an incredible archive of scientific discoveries for the world to discover. Levengood appeared ‘from the other side’ in 2014 in a paranormal encounter with witnesses present. He introduced Patty Greer to Penny Kelly who is finally coming forward with the REAL science of Crop Circles in this film. Penny explains the origin of Crop Circles while Patty takes you into the fields with cameras. 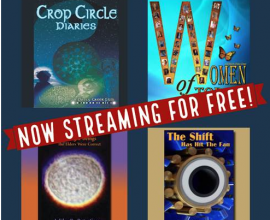 “Crop Circle Diaries” weaves the wisdom & experiences of 2 women who intimately understand Crop Circles! Honoring the research & reunion of William Levengood, Penny Kelly, Patty Greer & The Real Circlemakers. This is Patty's 8th & perhaps final Crop Circle movie because the BIG questions were finally answered!